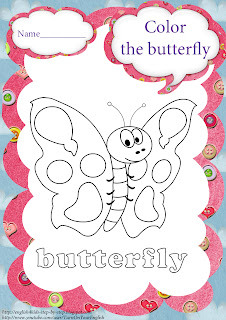 It's springtime. It's time of flowers and butterflies. 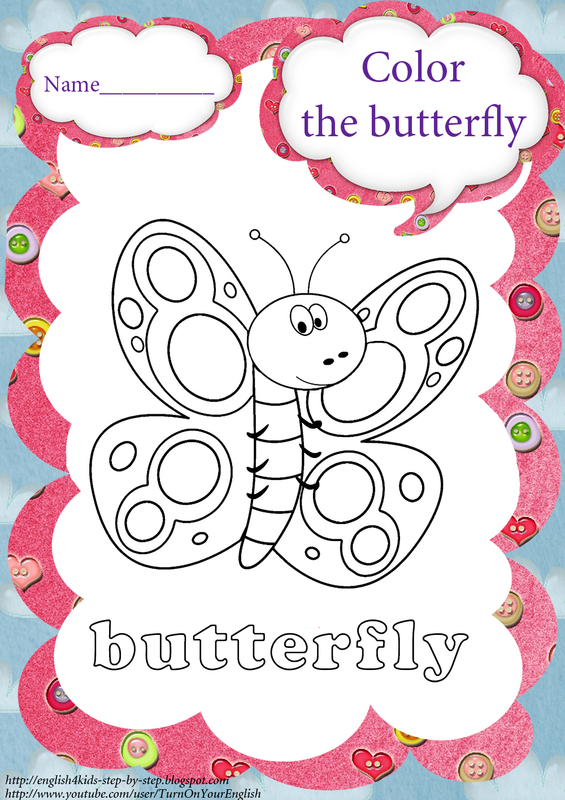 And it's also time to learn some spring vocabulary during English lessons with kids. I wrote a very simple song about butterflies a year ago which I used to teach English to preschoolers in spring. 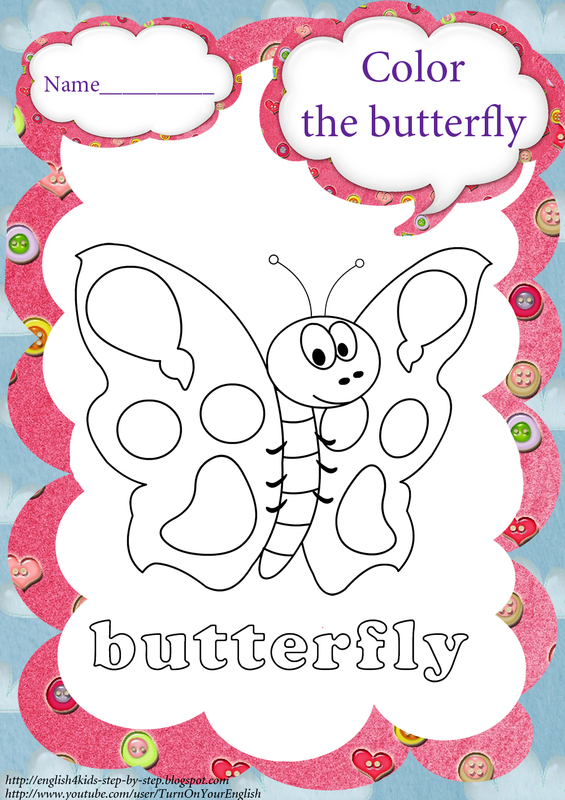 So I would like to share this butterfly song and some printable activities with other educators and parents who teach their own children at home. They were flying very high. I would like to fly with you. I have prepared a few coloring pages and worksheets to go with this song. 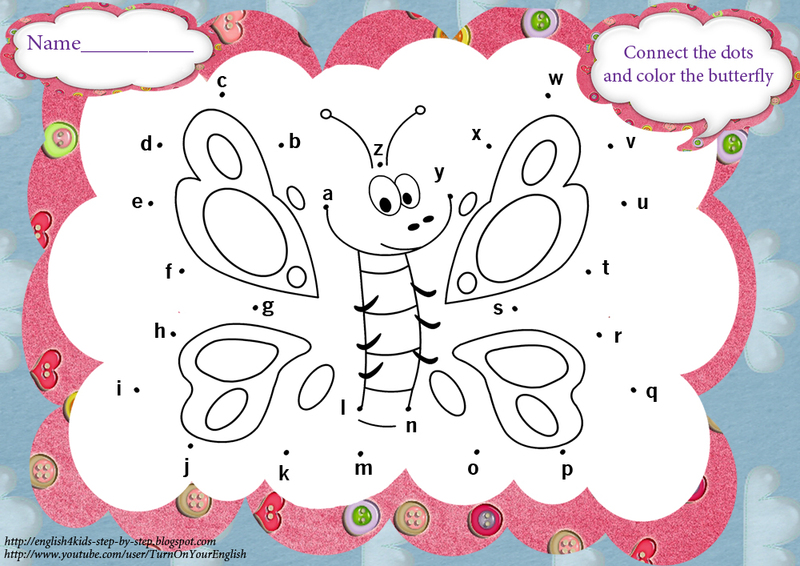 They are rather simple and can be used for preschool and kindergarten activities. 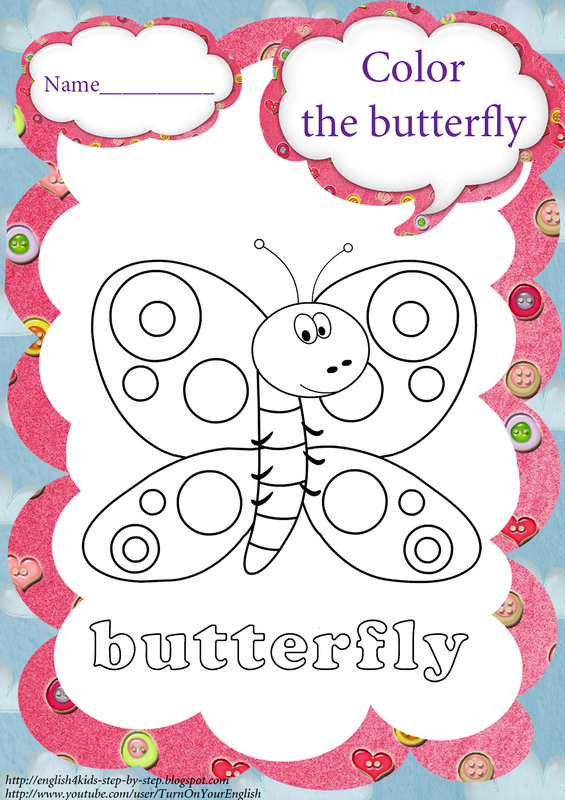 Worksheet 1: This task is for little learners of English. 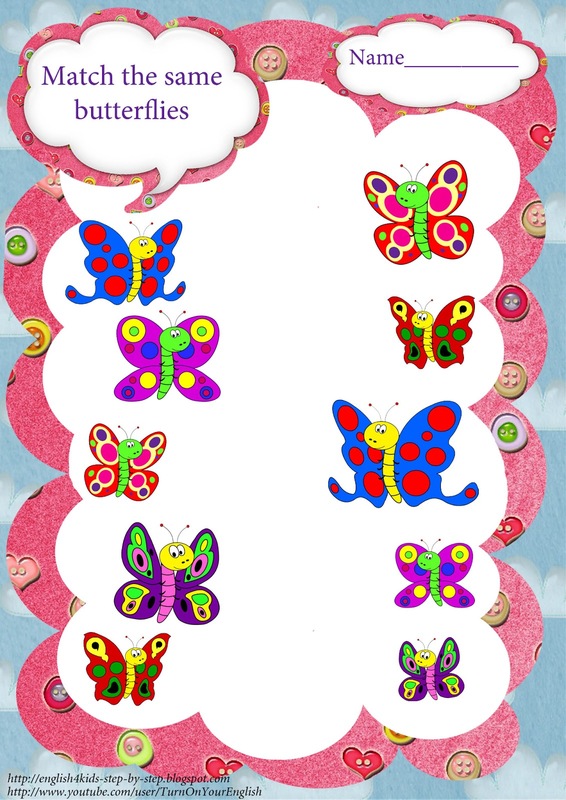 Children must differentiate big and small butterflies and count them (depending on skills and age). 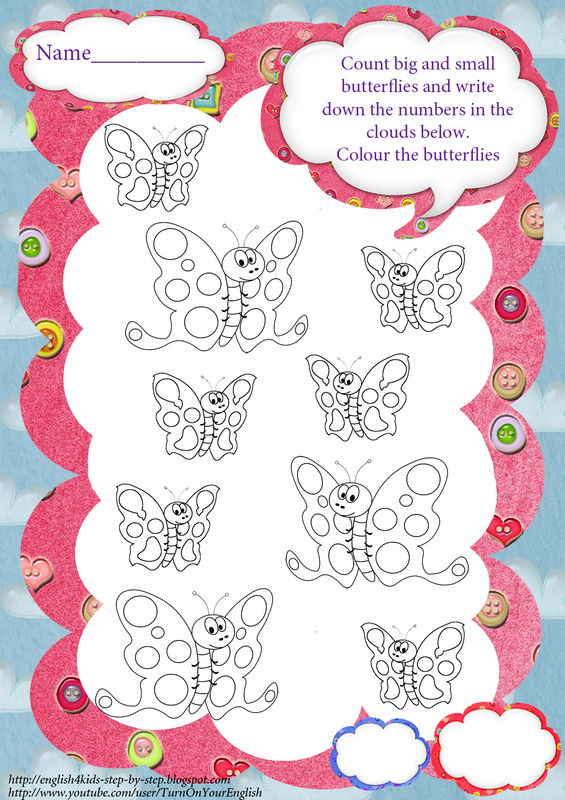 Worksheet 2: This assignment is also a very simple one and can be used during English lessons dedicated to nature, spring or summer weather. 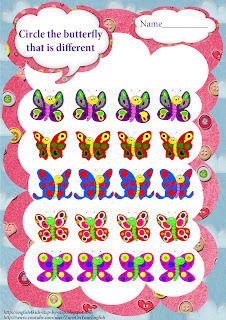 Children are supposed to find the butterflies which look the same. 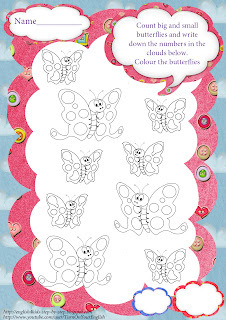 Worksheet 3: When doing this task children are asked to find which butterfly differs from others in each raw. 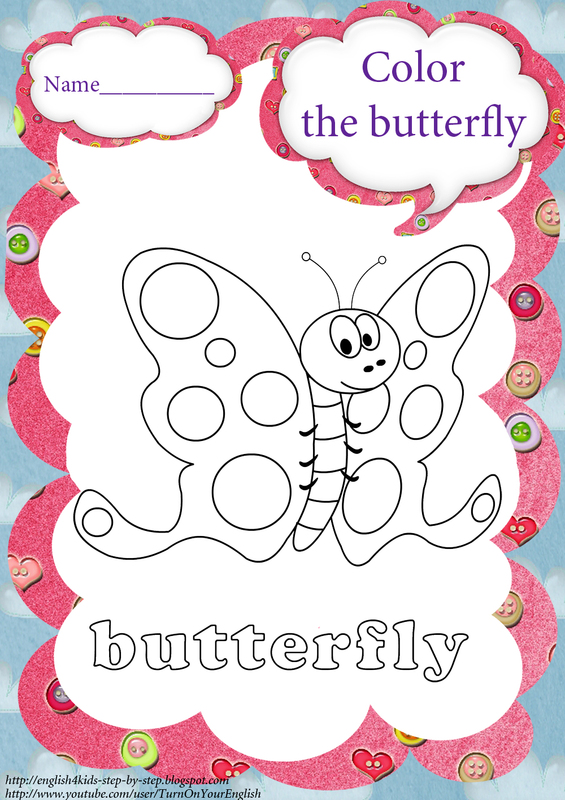 This activity develops kids' attention and reasoning skills. 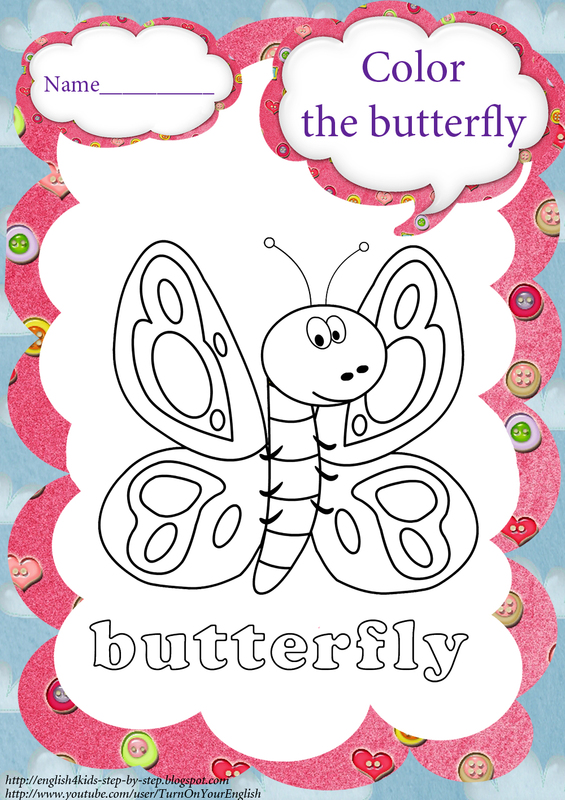 It also can help improve their speaking skills if a teacher asks young learners to explain why the butterfly is different. 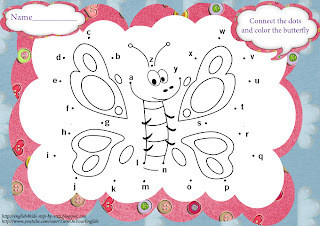 Worksheet 4: In this task little English learners must connect the dots from A to Z that helps them remember the letters order in the English alphabet. Then children must color the butterfly that is also very useful for developing fine motor skills, attention and creativity. 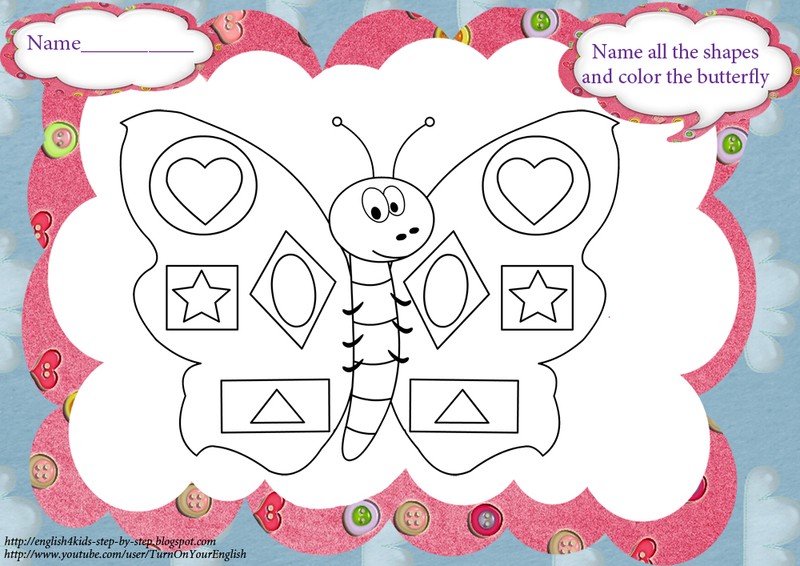 Worksheet 5: This assignment may be useful while learning the names of shapes in English. Children must color the butterfly with different shapes on its wings and name all the shapes. 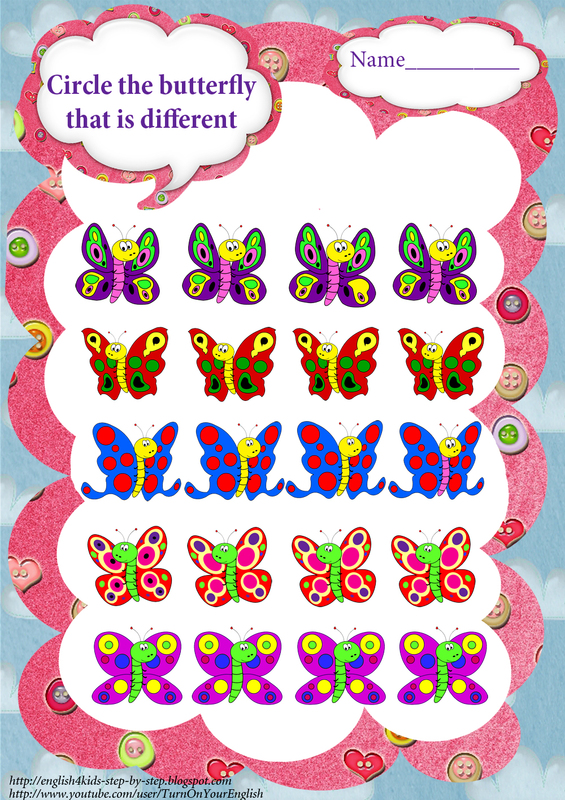 While making such tasks kids can develop their imagination and creativity, get an idea of size and symmetry.